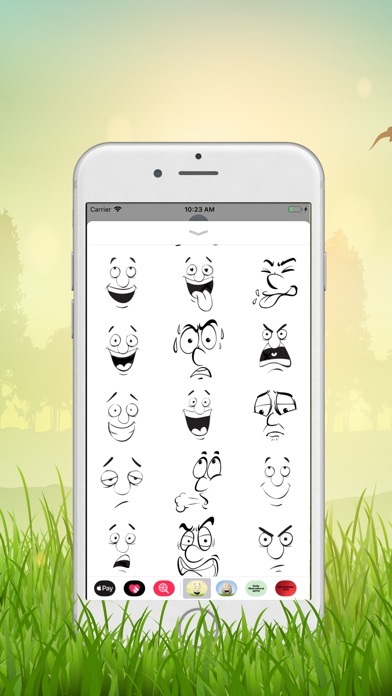 Funny Face Emotion Stickers for more messaging fun! 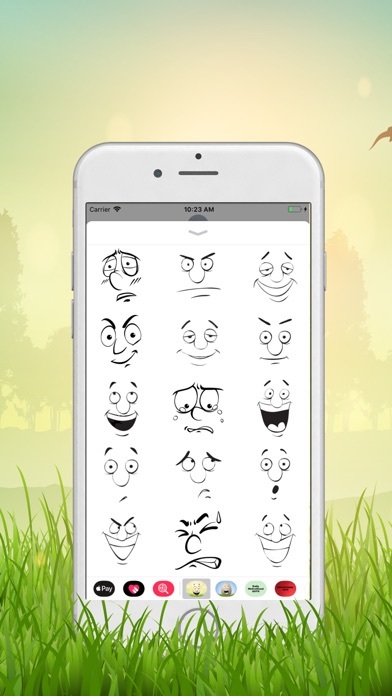 A simple Funny Face Emotion Stickers app to brighten your day. We will be updating with more fun stickers. How to use: 1. Open or start a conversation in iMessage 2. Tap the "App" button to the left of the message field 3. Tap the button in the bottom left of the screen to view your installed iMessage apps 4. Tap to open 5. 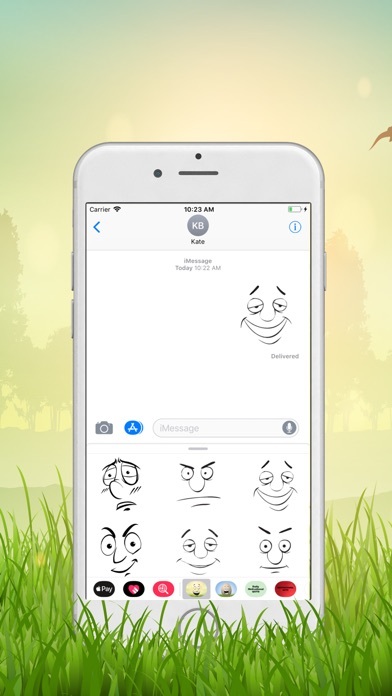 Attach stickers to messages by tapping and holding on a sticker to peel it up then drag it to a message bubble or photo to stick it to a message. 6. Enjoy and have fun!